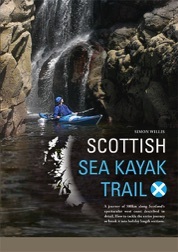 The idea of a Scottish Sea Kayak Trail has caught the imagination of the media. Some have used it to tell the story of the growing popularity of sea kayaking. Here you’ll find links to come of the coverage. 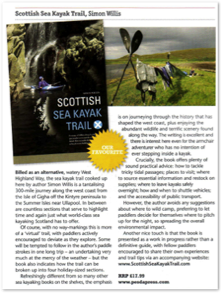 Reporting Scotland interviewed me as the author of the guidebook to the trail. I was live on Good Morning Scotland, accompanied by Stuart Wagstaff of Sea Kayak Oban. Two lovely packages by Helen Needham ran on Out Of Doors, on which I was accompanied by Gordon Brown of Skyak Adventures. The first newspaper report about the trail. Read article. A glowing review in a popular magazine. Read review.